Hataraku Saibou is literally a slice of life, focusing on the function that the cells in the body carry out. The setting of cells in a human body reminded me of the movie Osmosis Jones. Hataraku Saibou is more than a fun anime, it’s actually very educational as well. Each the introduction of each new cell is a lengthy description of their function inside of the human body. The accurate portrayal of all the cells was very well thought out, the character and their personalities were all based on their actual cell themselves. The series of event that takes place throughout the show were interesting and dynamic going from smaller scale injuries such as a scrape on the knee and all the way to a large scale disease such as cancer. The interpretation of the cells through the character designs was very well done, there are some easter eggs throughout the show as well. Such as The red blood cells hats, they’re shaped like a real blood cell! Or the Eosinophil, the Twin-tailed white blood cell, has twin tails because her real-life counterpart has a bi-lobed nucleus! But as much as I love the design, the art and animation weren’t always at the quality that it should’ve been. There were a lot of moments where the art deteriorated and we were left with poorly drawn characters. The ones with the most character development in the show are the main Red Blood Cell and the main White Blood cell. Their friendship and history together make for a fun comic relief especially when Red Blood Cell loses her way and has to be saved by White Blood cell. It’s great to have some more insight on the cells and why certain cells do certain things! The soundtrack mostly comprises of orchestral pieces, some soft and light-hearted and others very strong and powerful. There is a song called この世界は、終わらせない (This world isn’t finished), that gave me absolute chills while watching the anime. The composition of a song can work wonders on a dramatic scene! I love this show with my whole body, the great characters and the educational aspect of the show had me invested in it throughout the entire season. With great consideration to each cells’ real-life counterpart and the world displaying an excellent understanding of how the human body function. Hataraku Saibou is both an entertaining show and an educational tool. 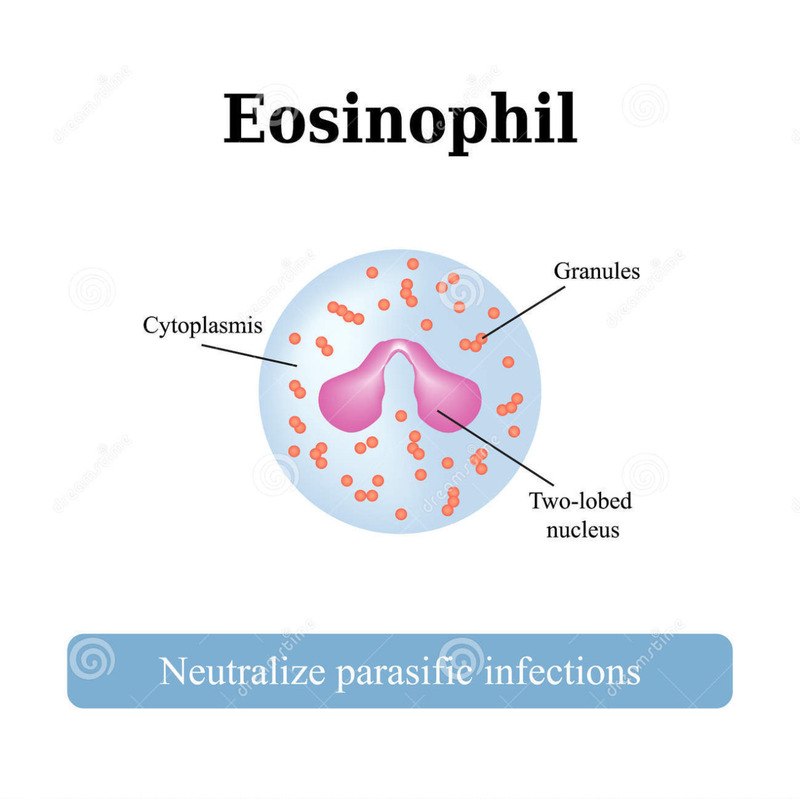 As my long-time readers know…I have a weakness for twin tails and Eosinophils is no exception. Her tendency to get embarrassed after getting a lot of praise is also a plus.